Should Landowners Enter Into Oil and Gas Leases Given Today’s Low Natural Gas Prices? Home / Should Landowners Enter Into Oil and Gas Leases Given Today’s Low Natural Gas Prices? 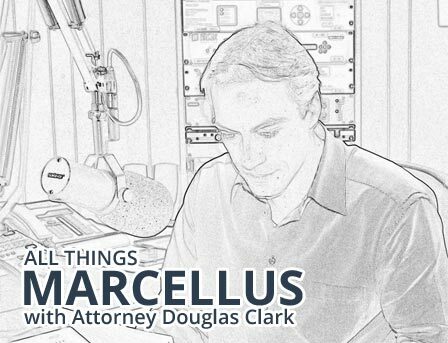 http://pagasleaseattorney.com/all-things-marcellus-radio-show/Question: Should Landowners Enter Into Oil and Gas Leases Given Today’s Low Natural Gas Prices? Pennsylvania landowners must carefully consider how the current low natural gas price market may negatively impact Oil and Gas Lease offers by energy companies. As I often say on All Things Marcellus, gas companies are very smart and their landman understand how to present gas lease and other offers to landowners in order to secure signatures. One very common company landman technique at the present time is to use low natural gas prices as a tool to convince landowners to sign bad gas leases and other agreements. Landmen will explain to landowners that due to decade low natural gas prices, the gas company does not have the financial resources to make higher lease bonus or higher royalty percentage leasing offers. The argument goes on that the gas company is in dire financial straits and it is remarkable and amazing that the company is making any offer to lease your property. The landman then explains that low natural gas prices have destroyed the gas company’s leasing budget and the company is unable to offer any additional per acre bonus compensation or higher royalty percentage given the low price of natural gas. The landman concludes by explaining how fortunate you are to receive any offer and how the landman is shocked that the gas company is even able to make you the current lease offers in this down market. At first glance, this may seem to make sense that you are lucky to have any offer and that you should jump on this chance to lease. However, when you fully consider all aspects of your lease offer, it may become apparent that you may be best served by declining and negotiating the current lease offer declining the current offer and waiting for the natural gas market to recover. There are many complicated factors that each landowner must thoroughly consider when weighing any offer to lease their oil and gas rights. A lease offer may be reasonably acceptable to one person, but the identical offer may be completely unacceptable and inappropriate for another person. The key to making the proper decision is understanding your specific situation and fully considering all relevant factors when weighing your gas lease or other offer. 12.5% Royalties for Natural Gas Produced, but Post-Production Costs such as pipeline transportation and gathering fees are Deducted From Landowner’s Royalty Payments. Initially, in my opinion the only truly attractive aspect of this offer is the $1,000 per acre bonus payment. This means if the company’s management approves title and officially accepts the executed gas lease, the company will pay the landowner $1,000 per acre typically within 90 or 120 days after the landowner executes and submits the Oil and Gas lease to the company. Although $1,000 per acre is certainly a nice sum of money, landowners in Pennsylvania have secured lease bonus payments as high as $6,000 per acre or more in the past. However, although Pennsylvania Landowners may have secured much higher per acre bonuses in the past, a $1,000 per acre bonus may be a reasonable offer for a given area at this time. Then again, in this current low natural gas price market, I recently represented a landowner in southwestern Pennsylvania who signed the highest per acre bonus lease that I have ever negotiated. All landowners must consider all relevant factors when weighing per acre bonus offers in Paid-Up Oil and Gas Leases. The conclusion here is that gas leasing markets are constantly changing, and each landowner must carefully consider past leasing markets, current leasing markets and possible future leasing markets when judging the offered per acre bonus. Of course, the per acre bonus is only one of many issues to consider when contemplating entering into an Oil and Gas Lease. A 10 year primary term lease offer should be avoided whenever possible. Think about why you should enter into a 10 year lease now with a company that currently has a small leasing budget because of the current low natural gas prices. A 10 year Oil and Gas Lease gives the company at least 10 years to drill and absolutely does not mean that you are guaranteed royalties within 10 years. Remember, there are typically many ways gas companies can extend leases beyond their primary term without gas production or royalties paid to the property owner. A ten year primary term lease is too long and should be avoided whenever possible. A 10 year lease term in itself will result in many informed landowners rejecting the gas lease offer and looking for better opportunities in the future. Finally, but perhaps most importantly, the 12.5% royalty offer with full post-production cost deductions is the worst possible landowner royalty allowed under Pennsylvania law. To put it simply, a Pennsylvania landowner cannot do any worse than 12.5% royalties with full deductions. I have represented very few landowners since 2008 who have signed leases for royalties less than 15% and many Pennsylvania landowners have secured leases as high as 21% in very strong leasing markets. If you are considering a lease offer at 12.5%, you must understand that this is the lowest royalty percentage allowed by Pennsylvania law and that you will never be offered a lower royalty percentage in the future. However, it is always possible that you may not receive any lease offers in the future, but if there is an abundant supply of natural gas in your area you may reasonably expect future lease offers and you cannot do worse than 12.5% royalty with full post-production cost deductions. In sum, $1,000 per acre bonus may appear to be attractive but in the current market with decade low natural gas prices after detailed evaluation, after detailed evaluation one may reasonably think that better offers may be available in the future. Also, with very little drilling occurring in Pennsylvania many landowners may benefit by allowing time for the market to potentially recover such that gas companies are in a better position to offer more favorable Oil and Gas Leases to landowners. Remember, this blog and any information on our websites is not specific advice for any individual landowner and all landowners seriously considering an Oil and Gas Lease offer or any natural gas agreement should consult with an experienced oil and gas attorney before making any decisions or signing any contract.